HWY 99 & CALVINE BLVD. We are pleased to present Marquee Mediaʼs new Sacramento Digital Display. This Marquee Sign is powered with the highest resolution & brightest possible Digital Display in the Sacramento Market. 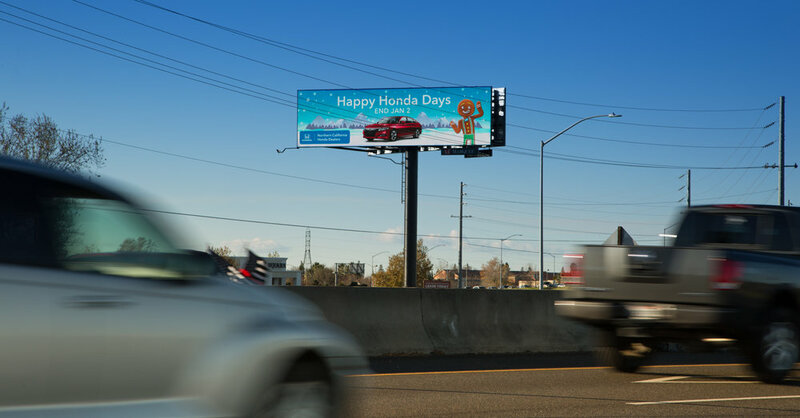 The Dynamic Digital Display is located at the entrance to Sacramento along Highway 99. This heavily traveled section of freeway has extremely high traffic counts as the main thoroughfare to Sacramento from the heavily populated Elk Grove south of Metro Sacramento.